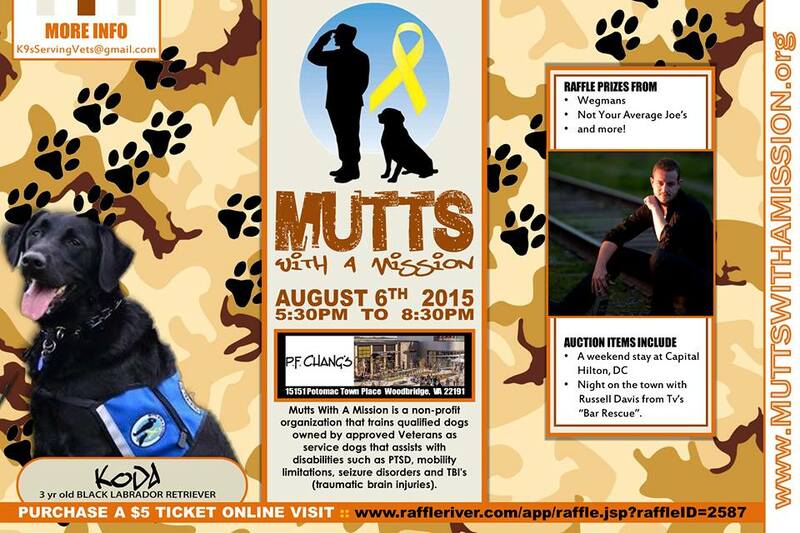 Raffle/Auction to help Veterans get service dogs. 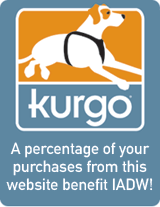 Mutts With A Mission is a non-profit organization that trains qualified dogs owned by approved Veterans as service dogs that assist with disabilities such as PTSD, mobility limitations, seizure disorders and TBI’s (traumatic brain injuiries). I know from personal experience that the wait list for a service dog through organizations that do an exceptional job at training and placing assistance dogs with Veterans, can be 2-5 years long. The tremendous amount of Veterans in need of these life-changing canines far outweighs the availability of working dogs. It took five long and stressful years to get my successor service dog in training and with the help of founder Brooke Corson (USA,Ret), we are on our way, but after all that I’ve been through I know that there are other Veterans going through the same thing and I am determined to use my experience to do something to help them. More Info: You can see more about our prizes and bid items at https://www.raffleriver.com/?r=2587.